We are heartbroken. People we love were murdered. And they were murdered by someone who is getting tons of attention and sympathy for his crime, while our loved ones, and we who survive, are ignored. We are further re-traumatized by advocates for our loved ones’ killers who have made a national policy decision to treat us like enemies instead of stakeholders in their advocacy efforts to provide early release from prison those who intentionally and maliciously murdered our children and our loved ones. 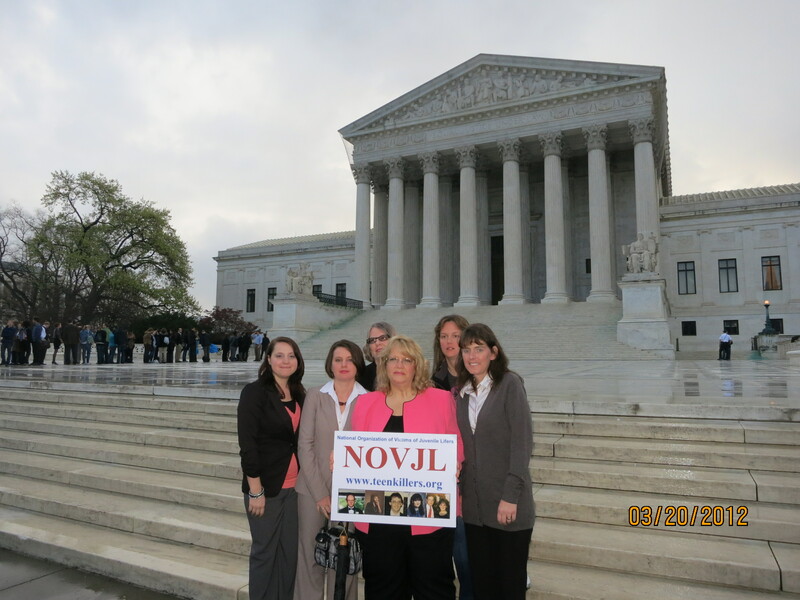 NOVJM exists to support and inform each other, and to advocate for our rights in the criminal justice system. 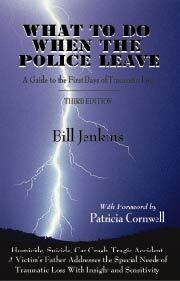 Victims Rights are the law and in constitution in all 50 states and in the Federal system. Those rights include being treated with dignity and respect, being informed of and participating in all criminal justice proceedings on the same basis as the offender, being able to consult with prosecutors, being able to make a statement before the sentencing of the offender, being kept safe, being notified of any matters pertaining to the release of the offender, receiving restitution from the offender, having support people accompany us to court, etc. NOVJM recognizes and embodies the tragedy that infuses every aspect of this issue of teens who kill. Despite the fact that many would paint us as opponents of criminal justice reform, that is NOT what we are. We do not take any specific position on what sentencing should be – that is the pervue of legislatures and courts. Victims differ on the specifics, state laws and individual cases vary widely, and we support all victims families, no matter their position. We believe victims voices must be heard in the public policy debate about these very complicated matters. We insist, as is our legal right, that all victims families be informed of all matters pertaining to the sentencing and possible release of the offenders in our loved ones murders. We know the issues are complicated and run across a broad range of problems. Many of us believe each crime and punishment should be decided on a case by case basis. The decision belongs to us all in a democracy – to the legislatures, the courts, and the legal experts familiar with the facts of each case. We understand the problems in the criminal justice system, as with any complex human institution. We recognize it is in need of reform. We fully recognize the problems in the lives of young people who turn to violence. We do not question the intentions of most well-meaning juvenile advocates who want to help ameliorate the problems of economic issues, race, class, family disintegration, mental health, and troubled communities that contribute to crime. 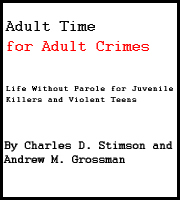 But the issue of sentencing in these cases often comes down to one basic question: are there even a few people who, while still at a young age, demonstrate that they may be very dangerous, perhaps for most of their lives? There is no denying – even by the advocates for juvenile justice reform – that the answer is YES. There are a few (thankfully a very small number) of people who -for whatever reason – even when they are younger – show clearly that they are dangerous and cannot be allowed to walk among us. NOVJM supports the availability of a wide range of sentencing options for the courts to use when looking at the individual facts of each offense and determining the best punishment and the best outcome for public safety. Offenses and offenders vary widely, and the criminal justice system needs to make complex decisions about the facts of each case. We believe the vast majority of teen criminals are rehabilitatable and should continue to be treated in the juvenile justice system, as is now the case. But Criminal Justice is a delicate balancing process. 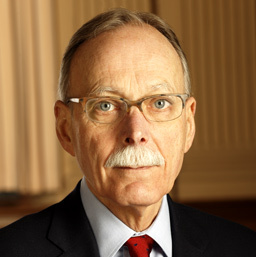 In our lives one issue is key: If the offender appears to be an unrepentant sociopath, for example, who shows little likelihood of ever being deemed safe to be free among us, why would any caring society sentence the VICTIMS’ family to the “life sentence” of unending legal battles, unending and open-ended hearings, trials, parole hearings, and constant re-engagement with the offender that so devastated their lives? We support legal finality for murder victims families, after appropriate due process for each offender. We urge legislatures and courts to allow victims families an END to their legal process with the offender at some point. This could mean a life sentence if warranted, or a term of years. But murder victims families will always suffer horribly at the regular and protracted endless on-going proceedings that accompany frequent parole hearings, which many states offer inmates. We have seen victims families literally tortured by this unending re-engagement with their loved ones’ killer. NOVJM does support Victims Rights to be notified of, and heard in, matters pertaining to their case. We believe that retroactive legislation to undo the completely work of courts that have duly processed a case is a violation of victims rights and due process. We believe that the existence of appeals and clemency allows generally for the system to correct mistakes. And we believe that ALL victims families must be notified of any effort to retroactively undo a life sentence – prior to any such consideration, while they can still have a say in the policy being discussed. We oppose the anti-victim tactics of some advocates for juvenile offender sentencing reform. Some of them have behaved very badly towards us in this public policy debate. We support truth telling about these cases. We request that the propaganda campaign that lies about the facts of the crimes, the facts of the sentencing, and the fact about the killers STOP. It is hurtful and harmful. “I am always amazed at the incredible attention that is paid to the supposed plight of violent criminals. Why is it that the same people who wax poetic about how “there but for fortune” we could be killers too, seem to lack any GENUINE compassion for the victims and their families? “I think that for these people the real pain felt by victims is too real and too intense. One can live a fantasy that violent criminals are just like you and me except for bad luck. Then one can become a hero, jousting for justice. “It is a self indulgent fantasy. Most, albeit not all, violent criminals are formed by a variety of conditions including genetics. Once they have been formed there is little that can be done for many of them.